I am a purger by nature. But my husband… not so much. I had to wrestle a moth-eaten college sweater out of his hands. So imagine suggesting to him that we get a new bed after almost 25 years! It all started because someone in my family (Tim) has developed restless leg syndrome. Or, at least that is my diagnosis as Dr. Dowling. After 6 months of deteriorating sleep, I decided we needed to get a new bed. This decision did not go over well. We bought our bed frame in LA at this great place called Civilization on Venice Boulevard. Walking the floor of the store, you saw all of the sets for sitcoms filmed in LA: Seinfeld, Melrose Place, Full House, Mad About You. Am I dating myself yet? 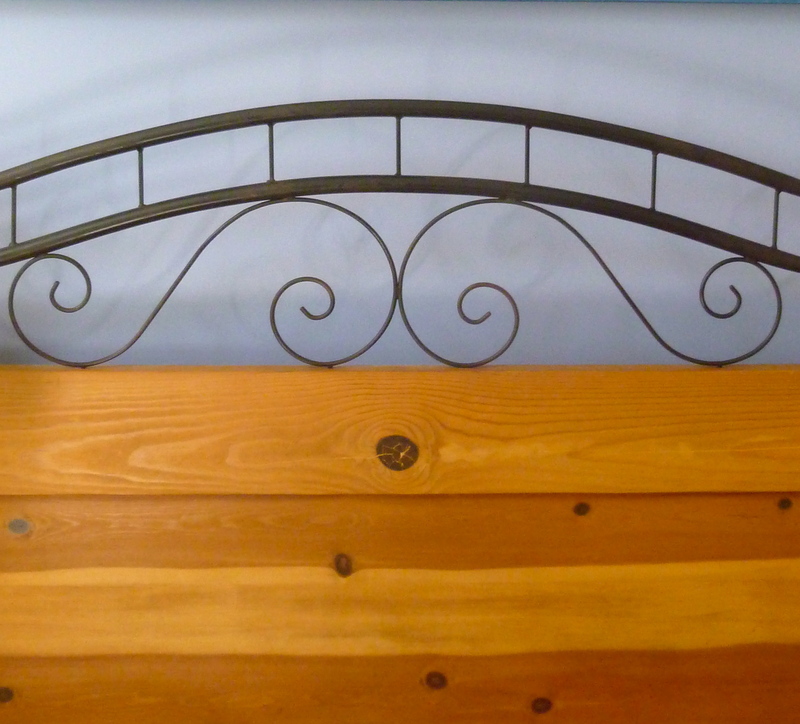 We decided on the pine/metal queen bed frame that was featured on Mad About You. This little purchase had problems from the beginning. Namely, the frame was too big for a queen bed. Kind of an issue. Our box spring fell through the bottom multiple times before we got plywood cut to fit across the frame to hold up the bed. The footboard was too short for Tim too. Many mornings his feet would be sticking straight through it. But, we persevered! Until I waved the white flag. Time for a TEMPUR-Pedic. Blissful sleep and my glass of red wine won’t fall over! Tim and I test drove ten different TEMPUR-Pedic mattresses and picked the new cooling comfort TEMPUR-contour. No idea what that means. New bed, new headboard. No footboard. Tim is sad. Since we got the new bed ~ I get up every day at 6am, have lost ten pounds and never wake up in the middle of the night anymore. Ok, none of that is true, but I do love it. Our Mad About You frame is in the basement, just in case…. Yummy Christmas Cocktails Even I Can Make!